From computers to Iphone's to streaming Netflix we are consuming technology at a rapid pace. What's the next piece of electronics that's changing our lives? Home Automation. We know have affordable ways to implement audio, video, lighting, and HVAC control all under one control interface. Imagine using your remote control to start your bluray movie and then tapping the lighting icon to turn off the lights in the house. You notice it's getting a little warm so you push the climate button on the remote and bump the ac down a couple degrees. Now it's 8 am in the morning and the kids are off to school. No worries you have preset timers Monday thru Friday that automatically send off commands to the lights in the house. When you arrive home from work the landscape lights are on and there is a lighted pathway through house. When you are out of town use the friendly app on your iphone to turn lights on or off to appear that someone is home. 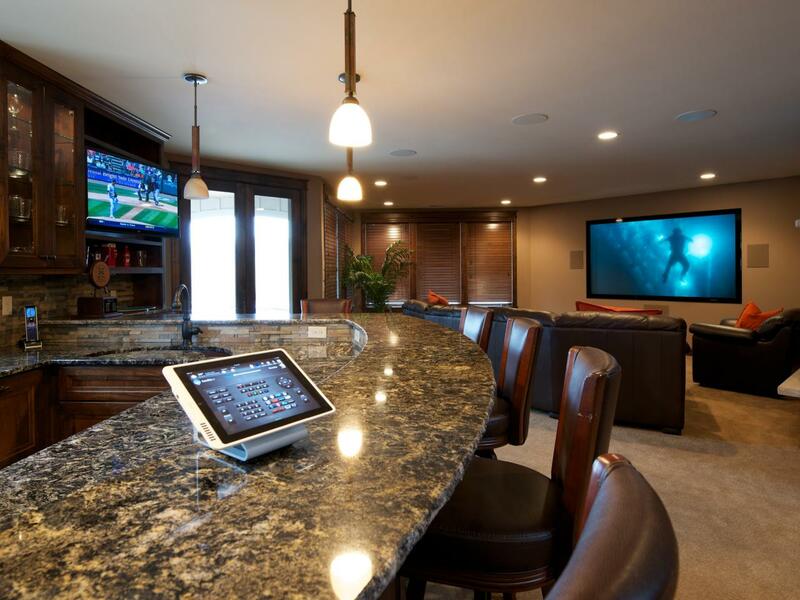 Home automation combines safety, convenience and energy efficiency all in one easy to use solution. We will make sure that everything is installed professionally and working perfectly.